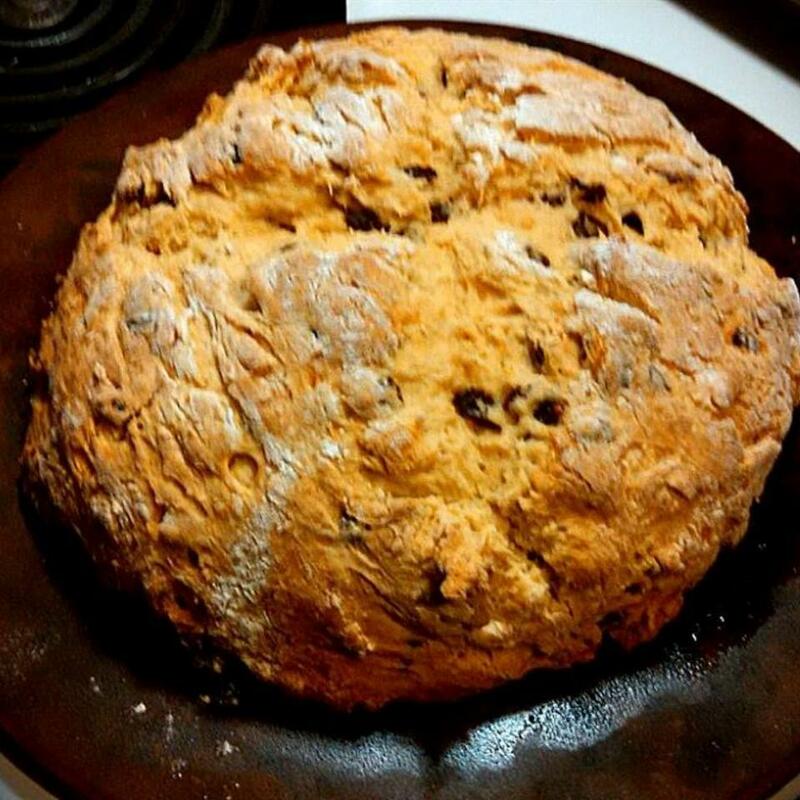 This is not the dark bread you see in every restaurant in Dublin or Galway these days but I promise, it's authentic Irish Soda Bread, exactly how my late Irish grandma made it. Serve warm or cold with butter. This freezes great. 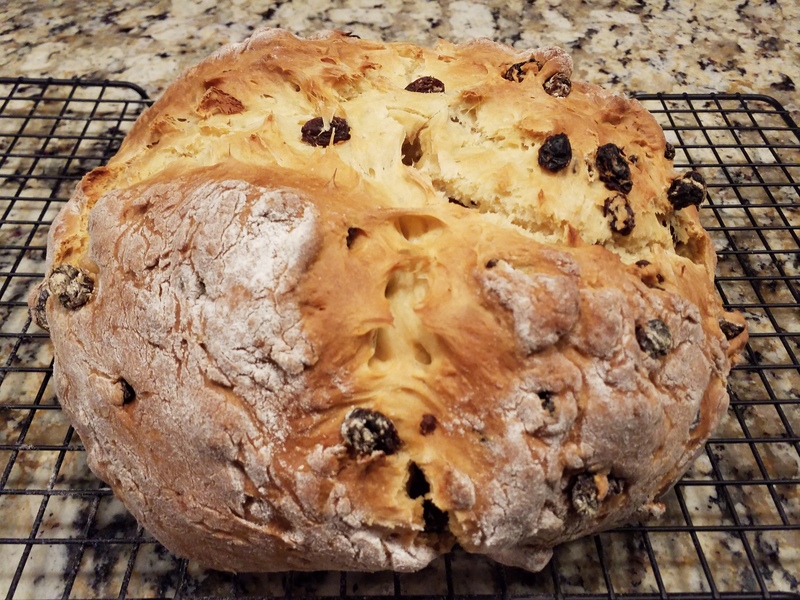 I've made several loaves before St. Patrick's Day, or family parties. I freeze them, take them out the morning they're needed and warm up in a hot oven for 5 -7 minutes before serving. Preheat oven to 350 degrees F (175 degrees C). Grease a baking sheet, or line with parchment paper. In a large bowl, stir together the flour, sugar, baking soda, baking powder, and salt. In another bowl, whisk together eggs, buttermilk, and corn oil. Make a well in the center of the flour mixture, and pour in the buttermilk mixture. 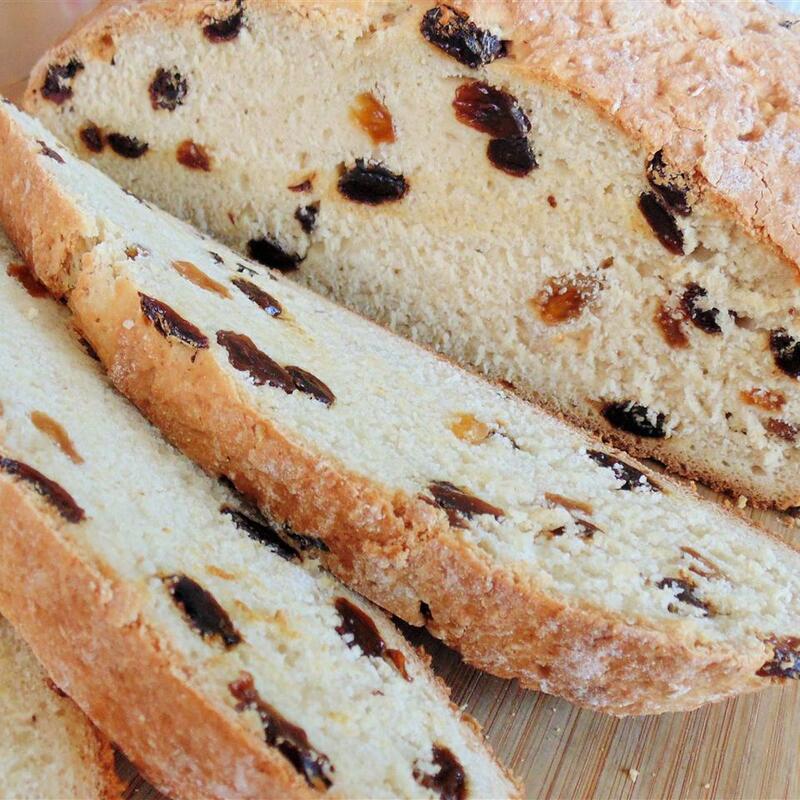 Add the raisins, and stir a few times, just until the ingredients come together into a soft dough. 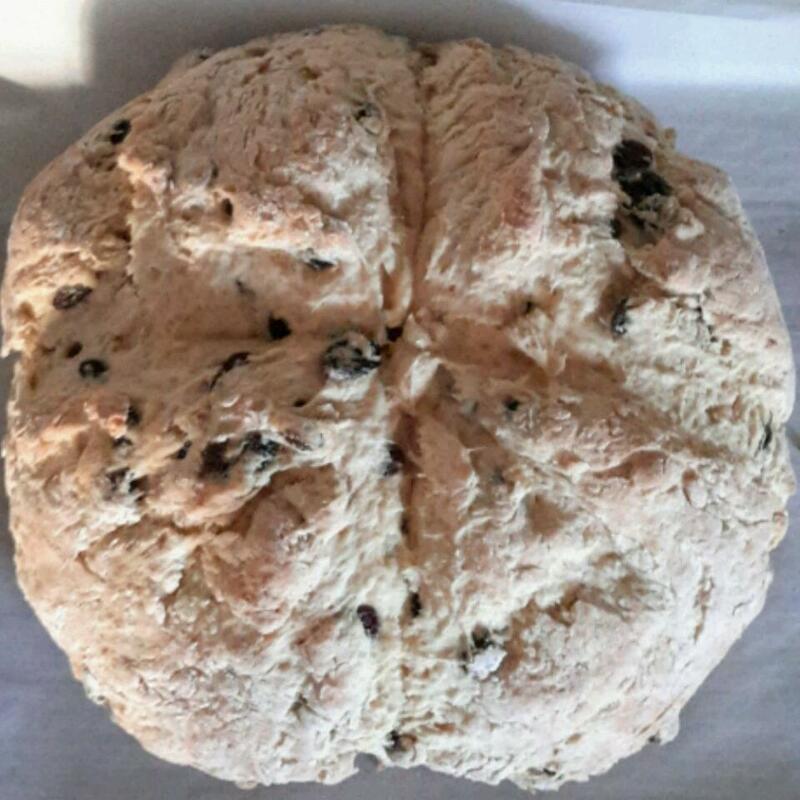 Turn the dough out onto a floured surface, and with floured hands shape dough into a ball. 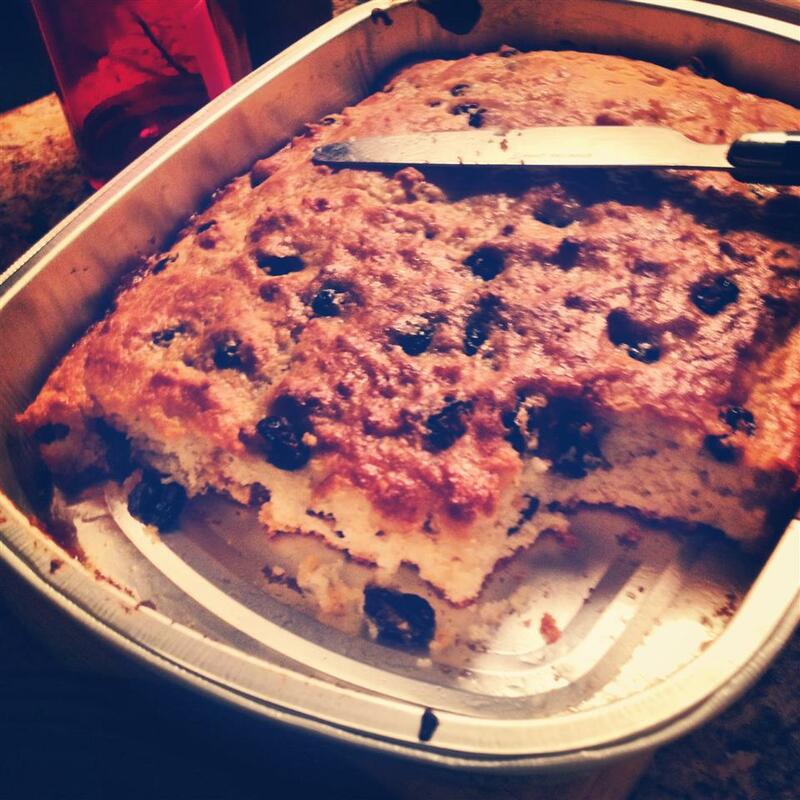 Place the dough on the prepared baking sheet, and cut a large cross in the top with a sharp knife. 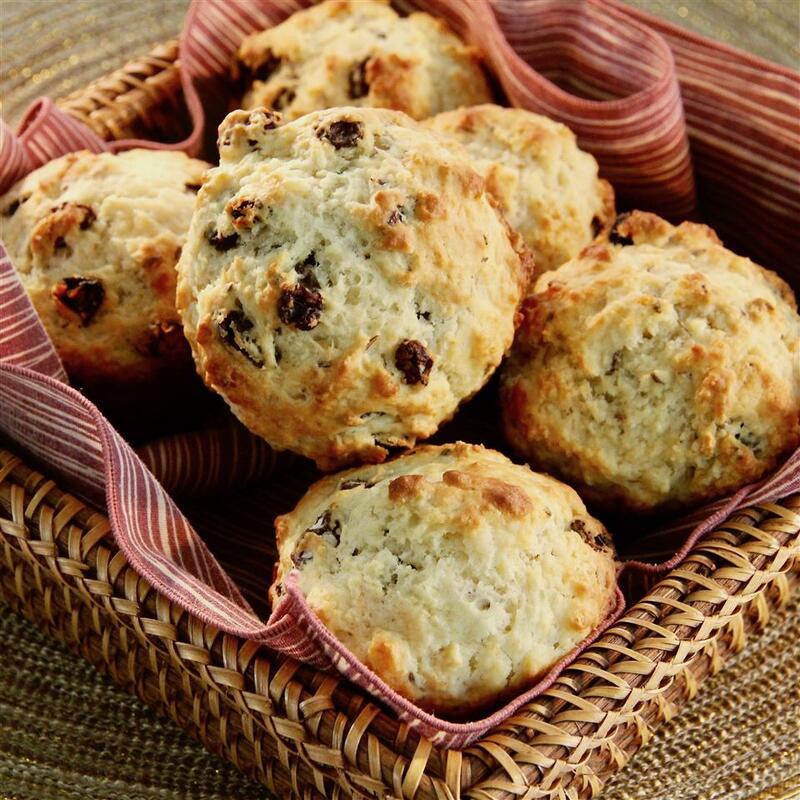 Place the bread on a middle rack of the preheated oven, and bake until golden brown, 30 to 40 minutes. 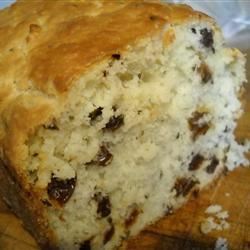 Hubs doesn&apos;t like quick breads of any kind Mom and I were unsure of the raisins. Didn&apos;t look like this bread was going to make any kind of statement at tonight&apos;s St. Patrick&apos;s Day meal. I had low expectations frankly. Wrong! Everyone loved it! (me too!) Other than using vegetable oil rather than corn oil I prepared it as directed then dusted the loaf with a little flour before it went it into the oven. 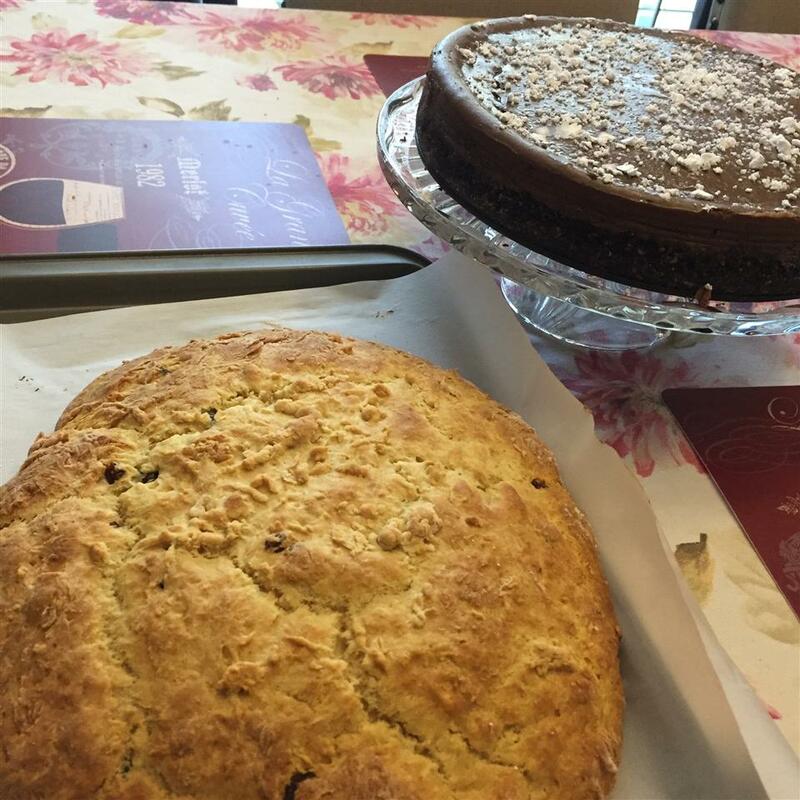 I find it incredible that something so impressive both in appearance and taste comes together so easily and quickly and with such humble ingredients. It&apos;s really a foolproof recipe. 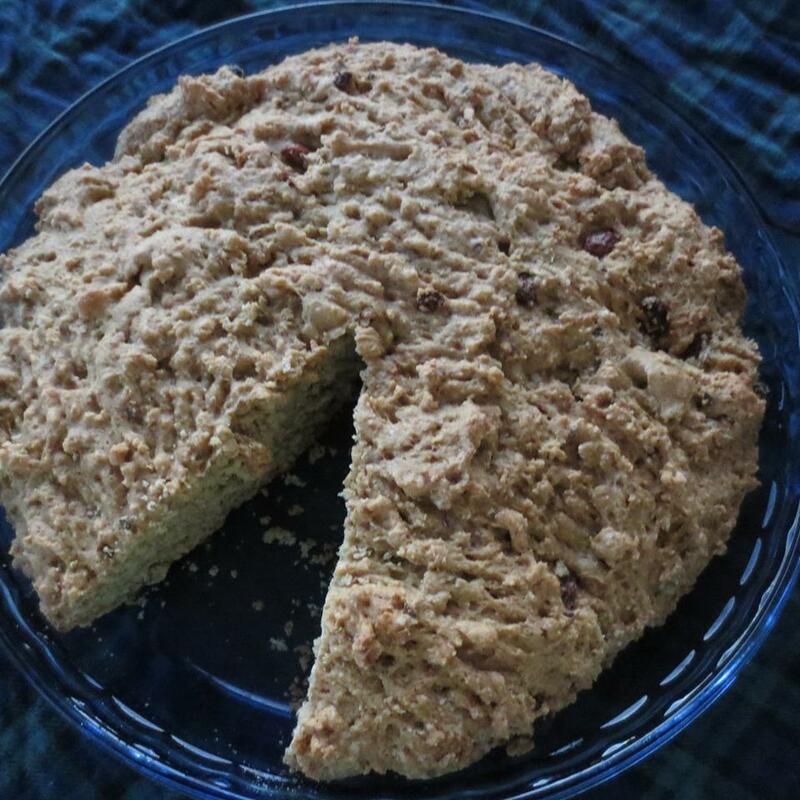 I baked it on parchment paper and in my oven at least 35 minutes was just right. 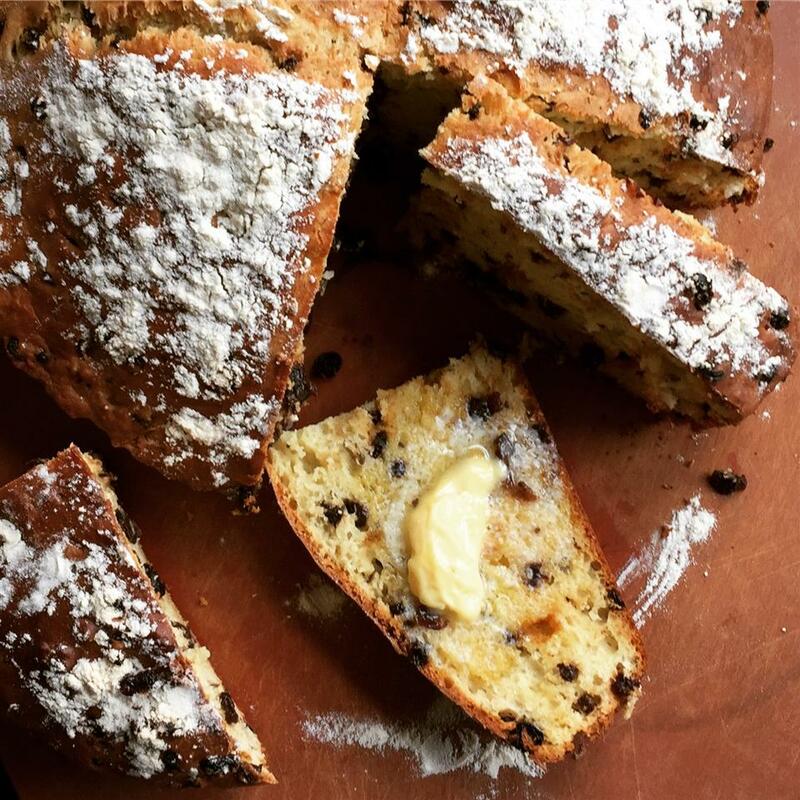 It&apos;s just a beautiful bread that is moist (because of the buttermilk I have no doubt!) tender and flavorful. 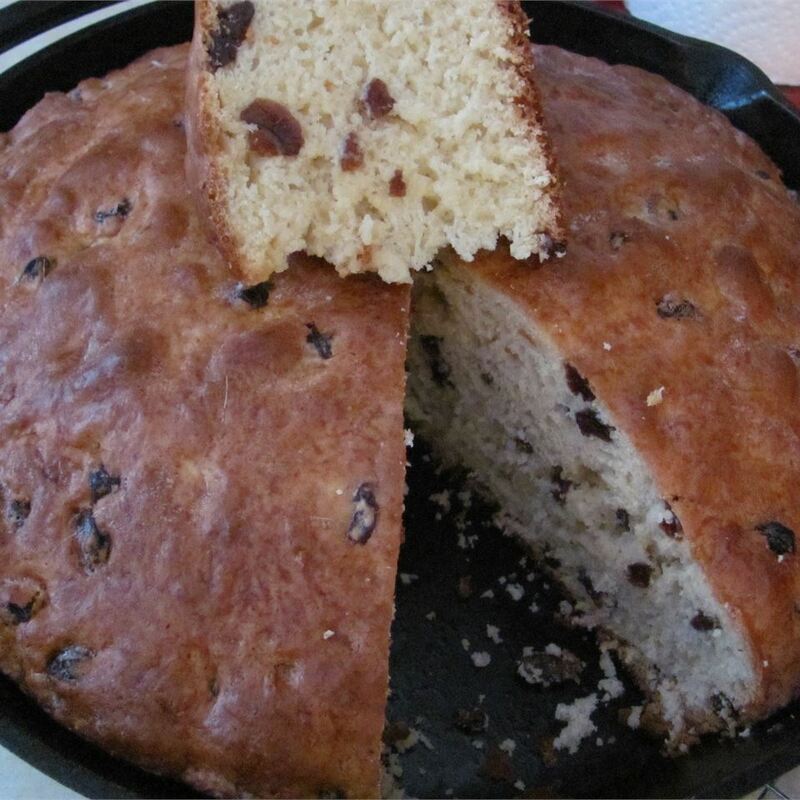 Don&apos;t be tempted to leave out the raisins as I almost did - they really do add something in a positive way! 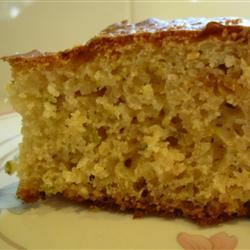 Good recipe but hubby gives it only three stars. 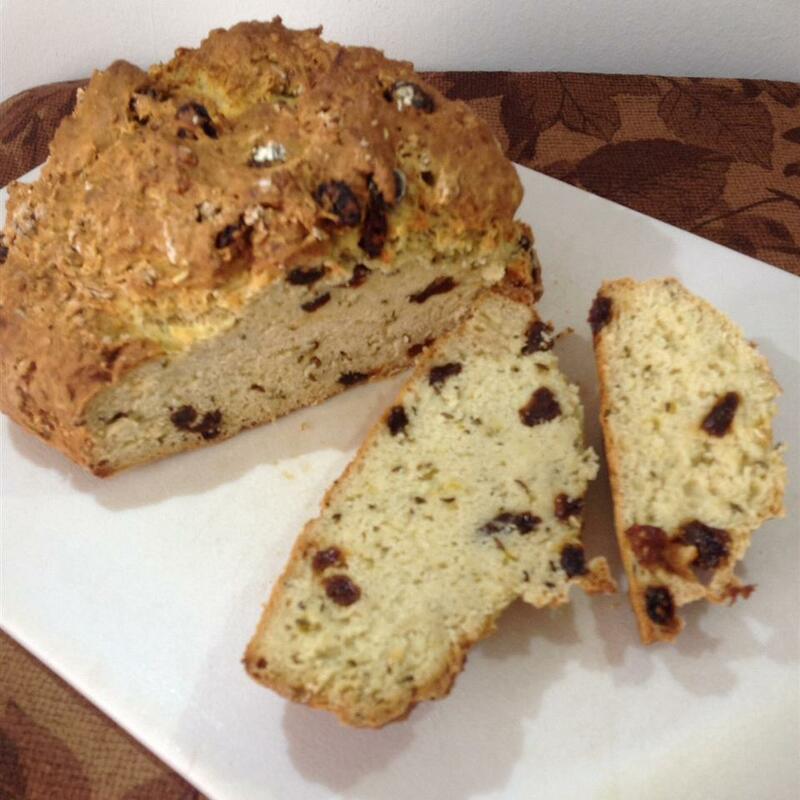 Grandma McAndrew sure had it right - I just had a slice of this soda bread and its absolutely perfect!!! 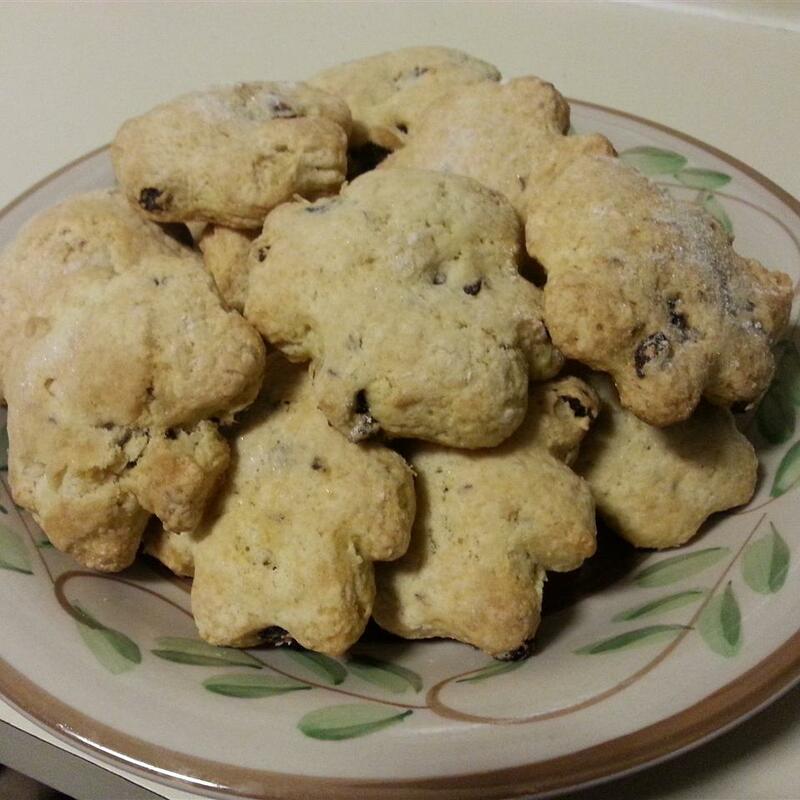 I used softened butter instead of the oil and plumped the raisins in a sauce pan with butter before adding them to the flour mixture. I did this "before adding the liquid mix". 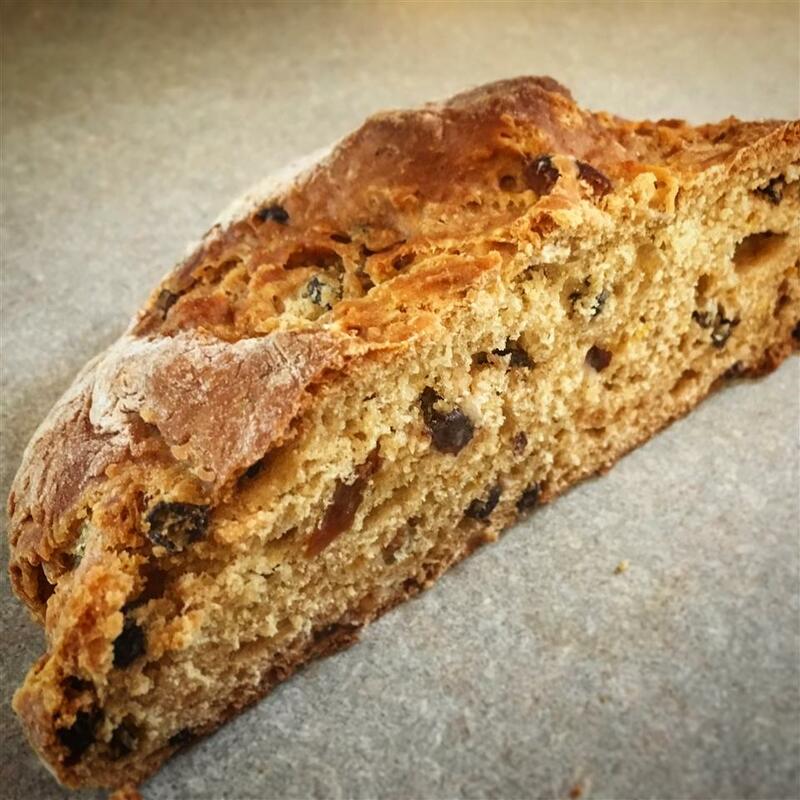 I find mixing the raisins in the dry ingredients easier than in the dough. 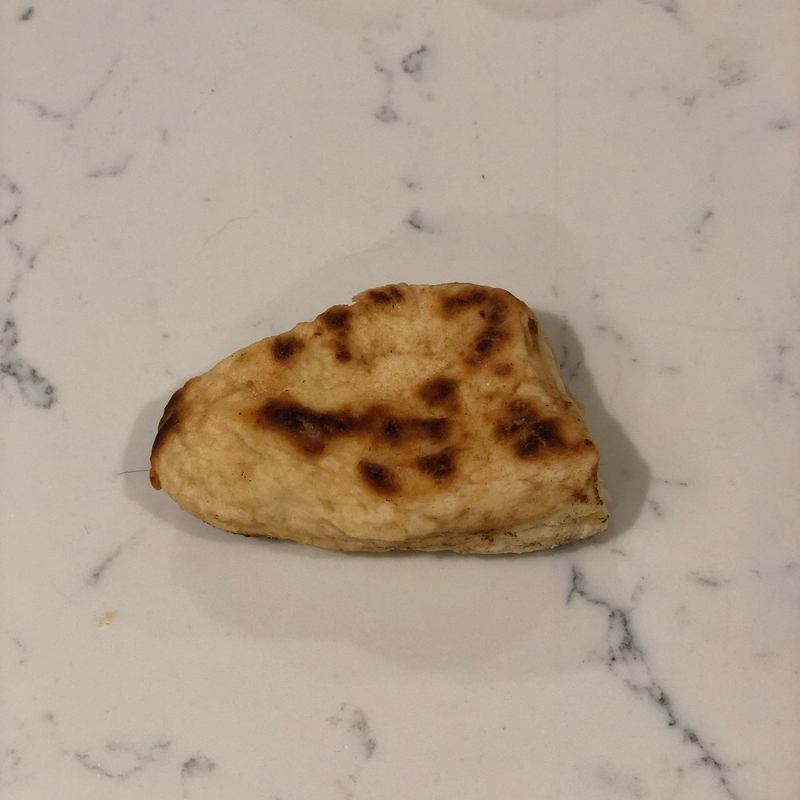 I needed to add 10 minutes to the time to complete cooking but the bread came out very well. 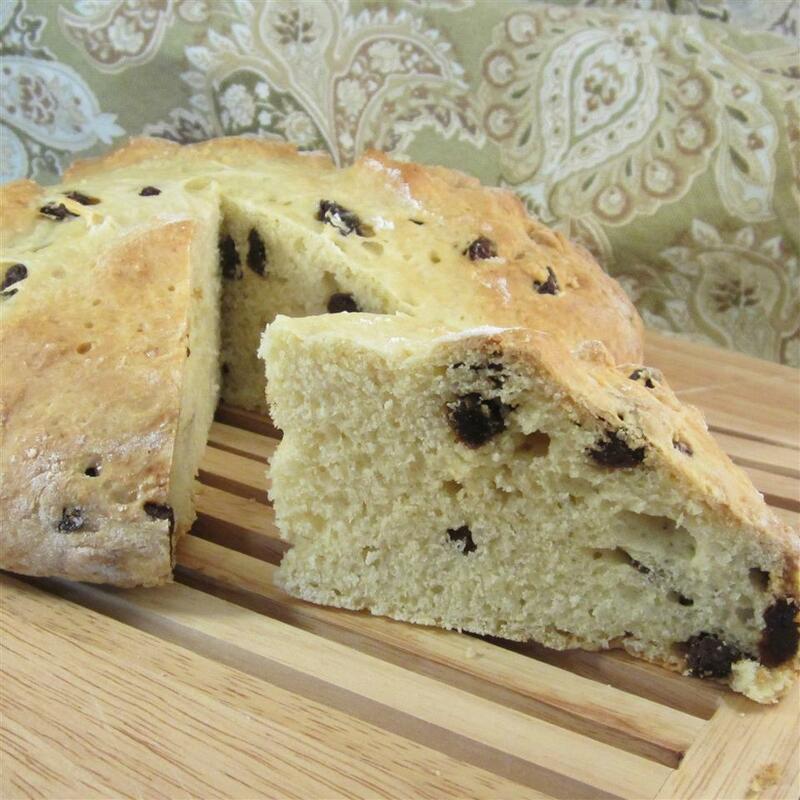 It went well with the Corned Beef and Potatoes for St. Patrick&apos;s Day evening meal. Have Fun!! 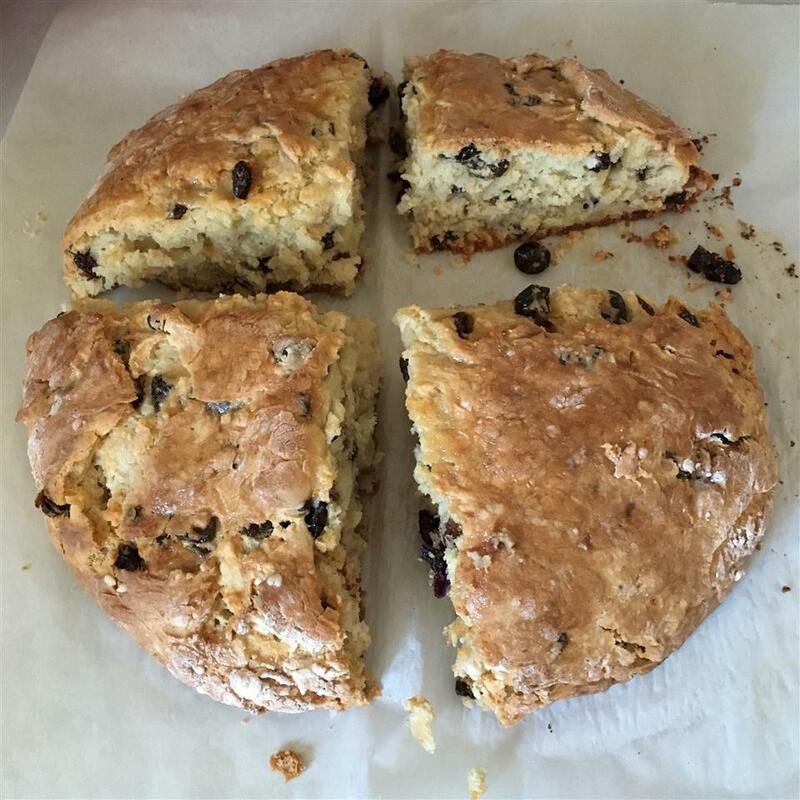 This is easy to make and tastes good--my first time making Irish soda bread. 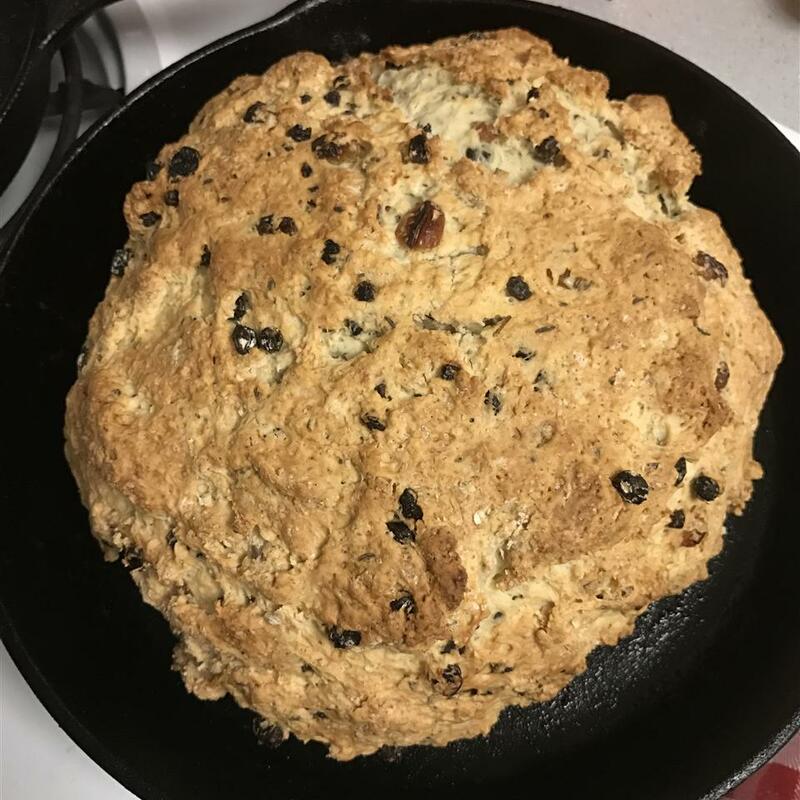 I chose this recipe because it fits my idea of authentic Irish soda bread including raisins & buttermilk but not sour cream. 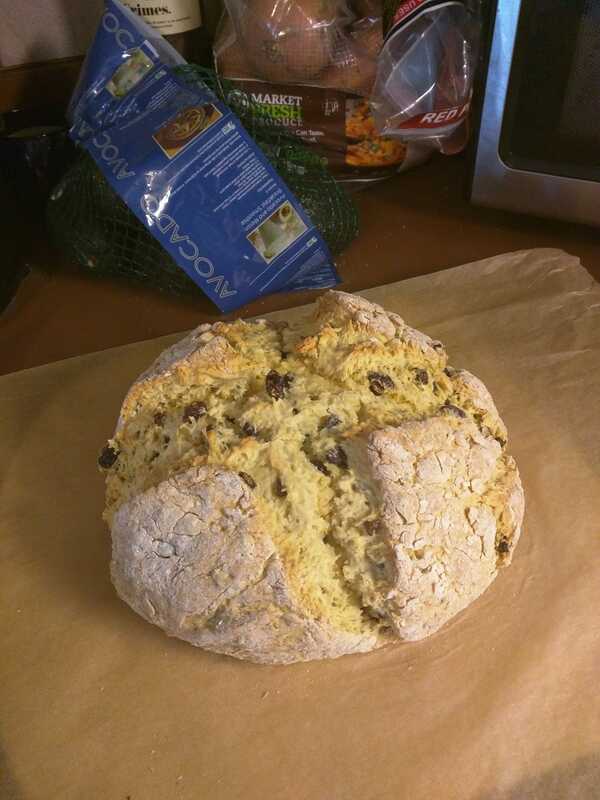 I rate it a 4 (rather than 5) only because it&apos;s the first soda bread recipe I&apos;ve tried so I don&apos;t have a lot to which I can compare it. 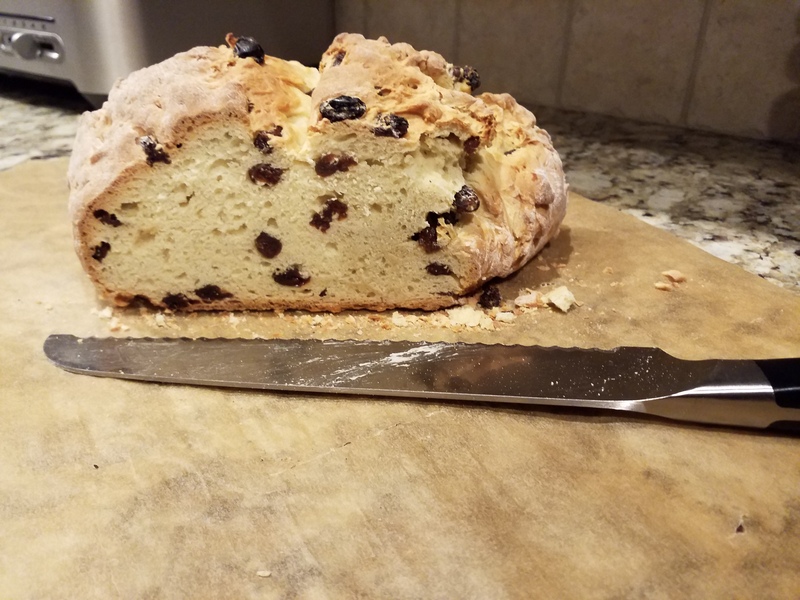 I have never made Irish Soda Bread before but this recipe is definitely not going to wait for the next St Patrick&apos;s Day! It&apos;s an excellent recipe! I didn&apos;t have any buttermilk so I made my own by adding a couple of tablespoons of lemon juice to the milk and letting it sit for 5 mins. before using it. Thanks for posting. 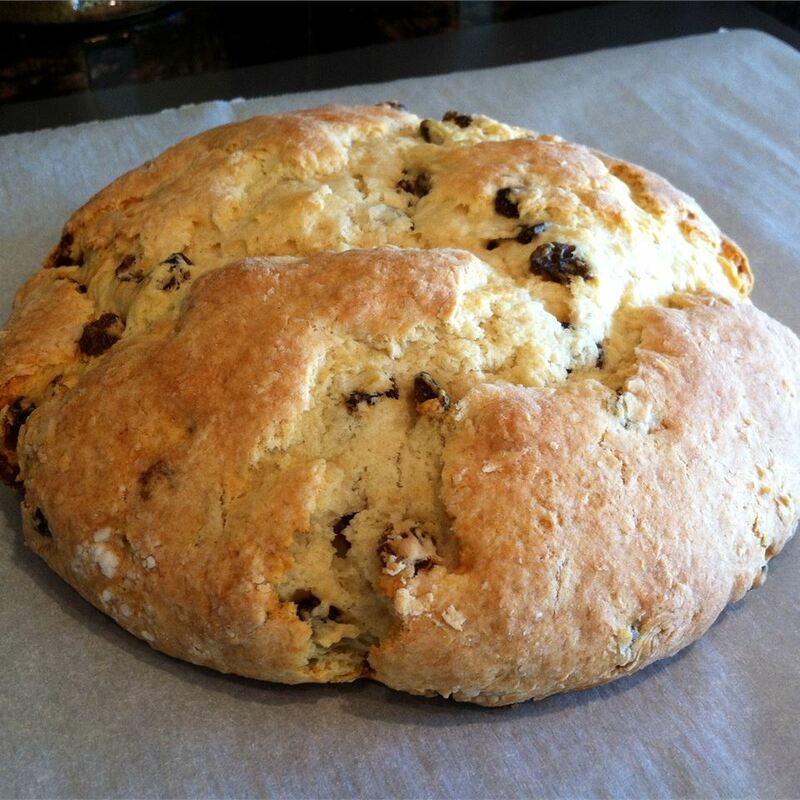 Oh My Gosh this Irish Soda Bread recipe is one of the best I&apos;ve tasted! And so easy to boot! Thank you Grandma McAndrew and to Sheila for having the patience to figure it out! 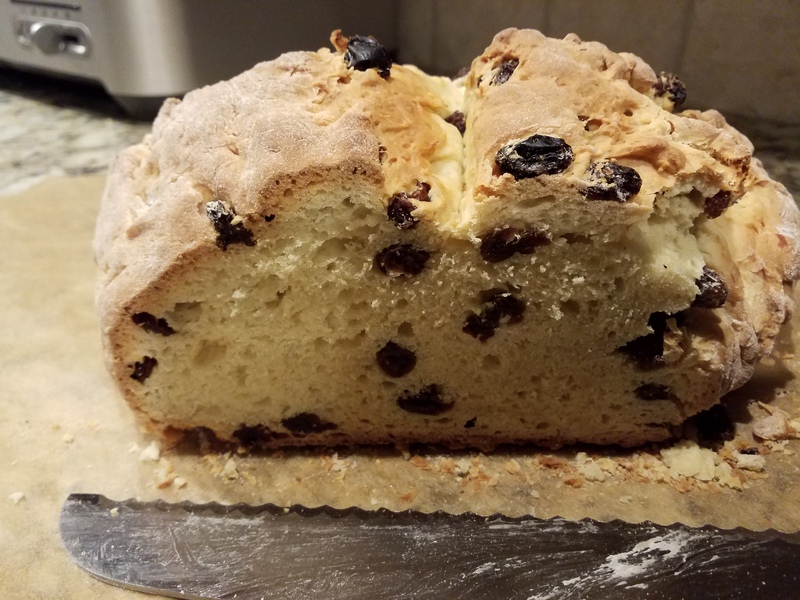 I made mine without raisins (my family is raisin-phobic) so I increased the sugar by a quarter cup to make up for the missing sweetness. Perfect! Delicious!!! I just made 2 loaves after making a quick to disappear loaf a few weeks ago. 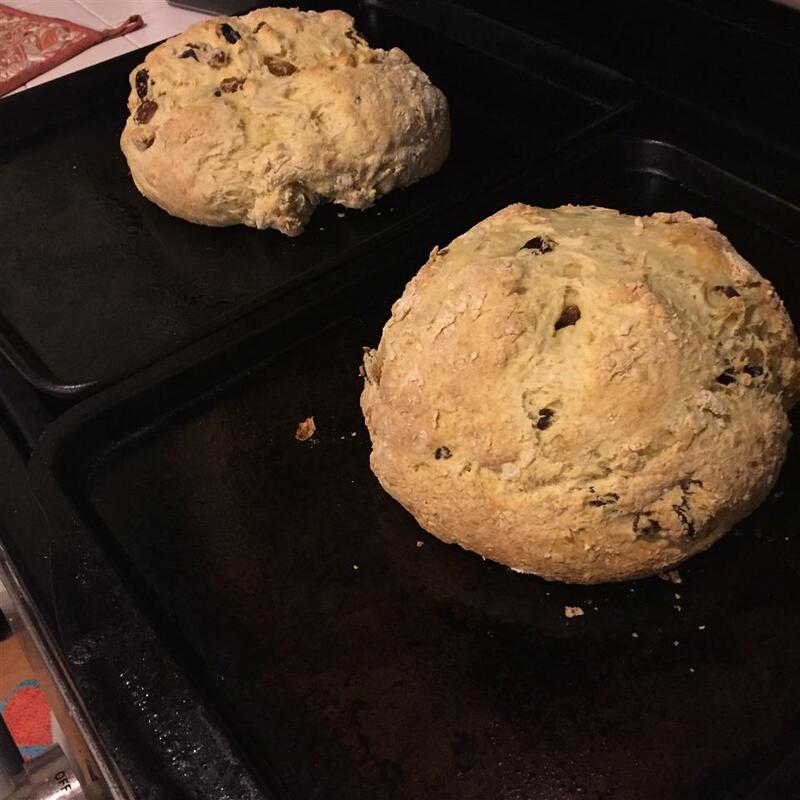 My husband called it the giant scone! 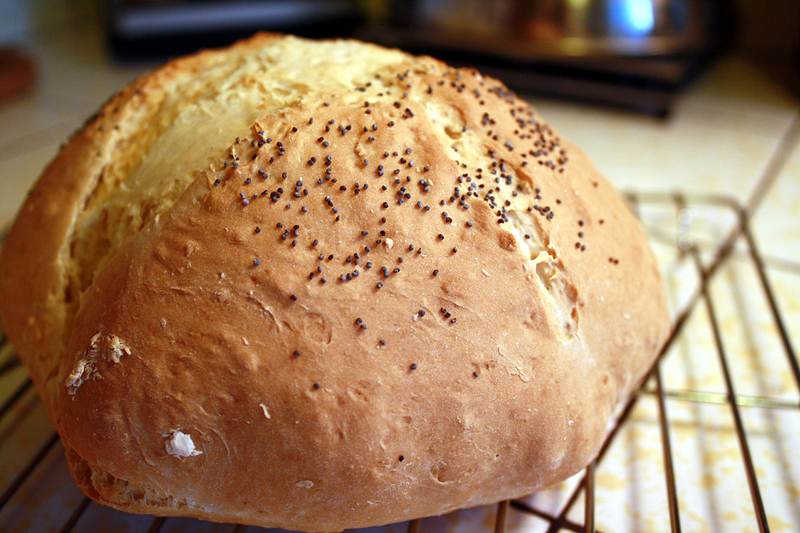 I love the simplicity taste and tenderness of the bread. 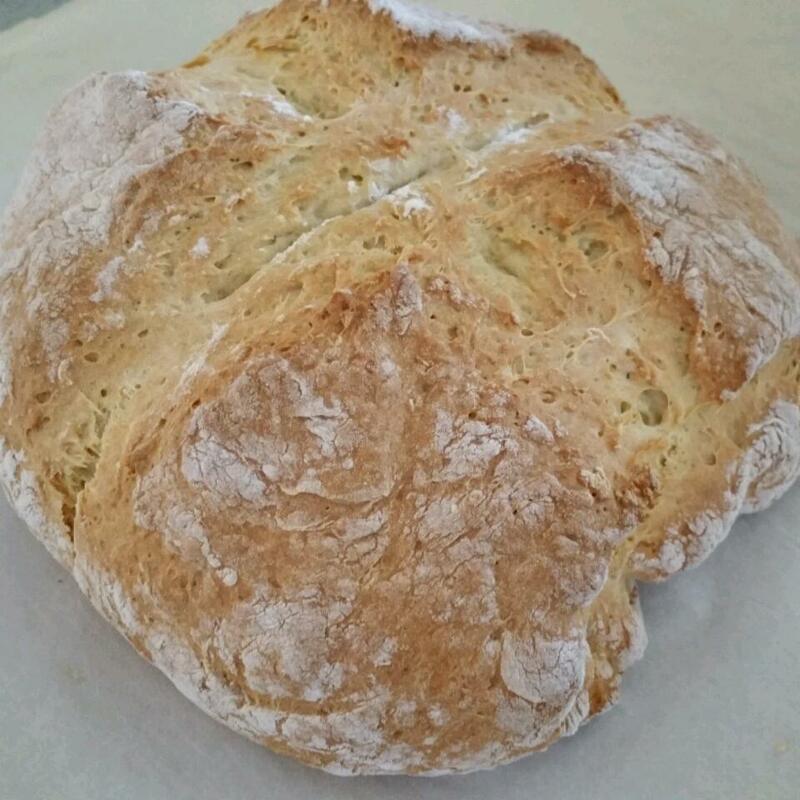 I have made other loaves of soda bread which I love but this is the most straight forward. Just finished a warm piece with a bowl of spicy chili-sounds odd but really a perfect match!! Update: I wanted to add that I made some last night to give in holiday gift bags. 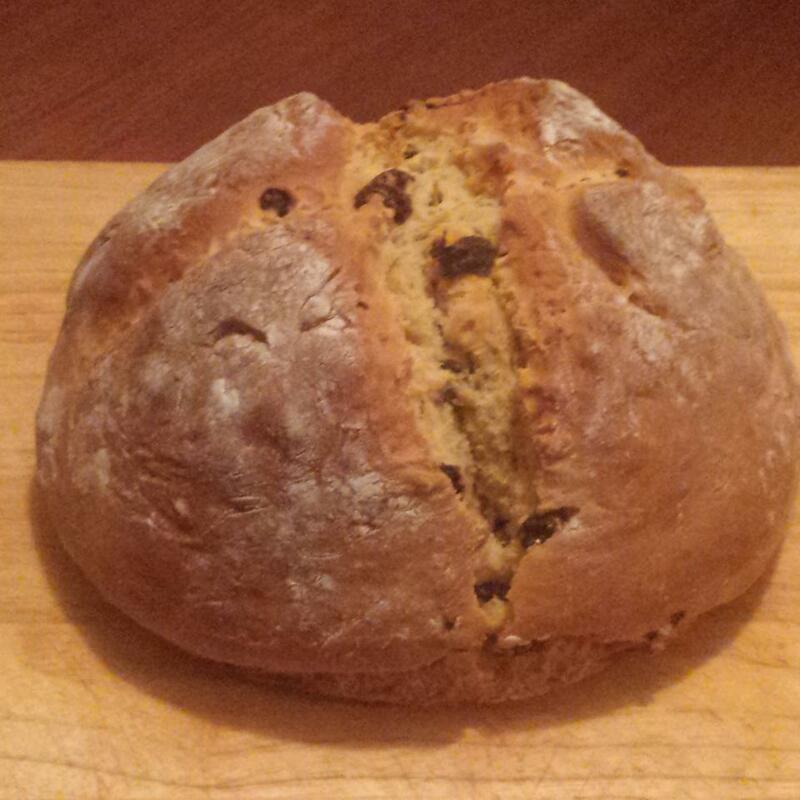 I divided the dough to make 2 smaller loaves...perfect size for gifts. 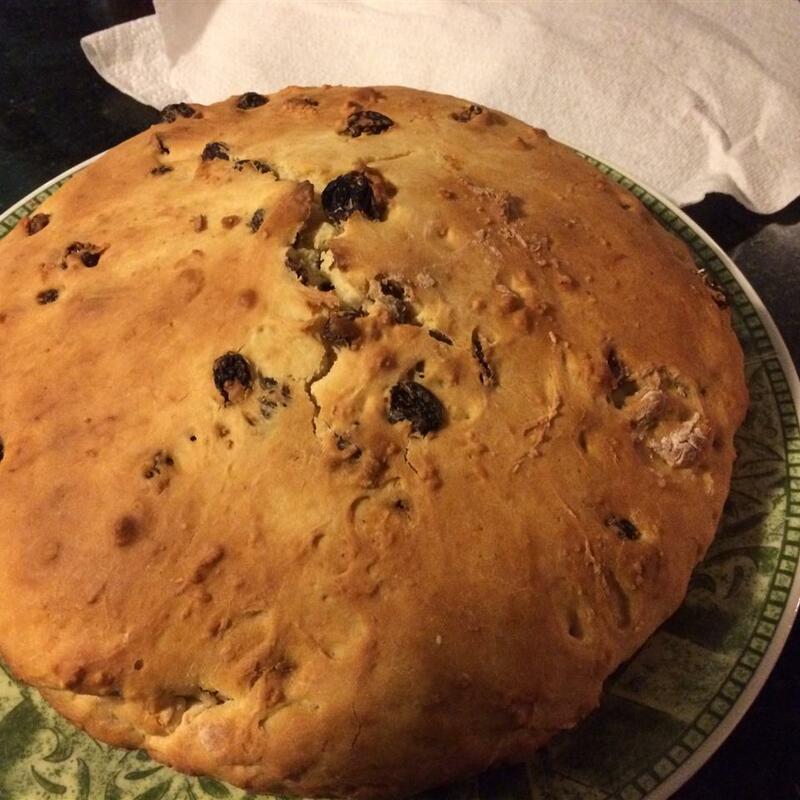 The dough is very sticky and I just kind of mounded it and use a butter knife to kind of smooth it a bit. They baked up very well at 30 minutes nice and golden. 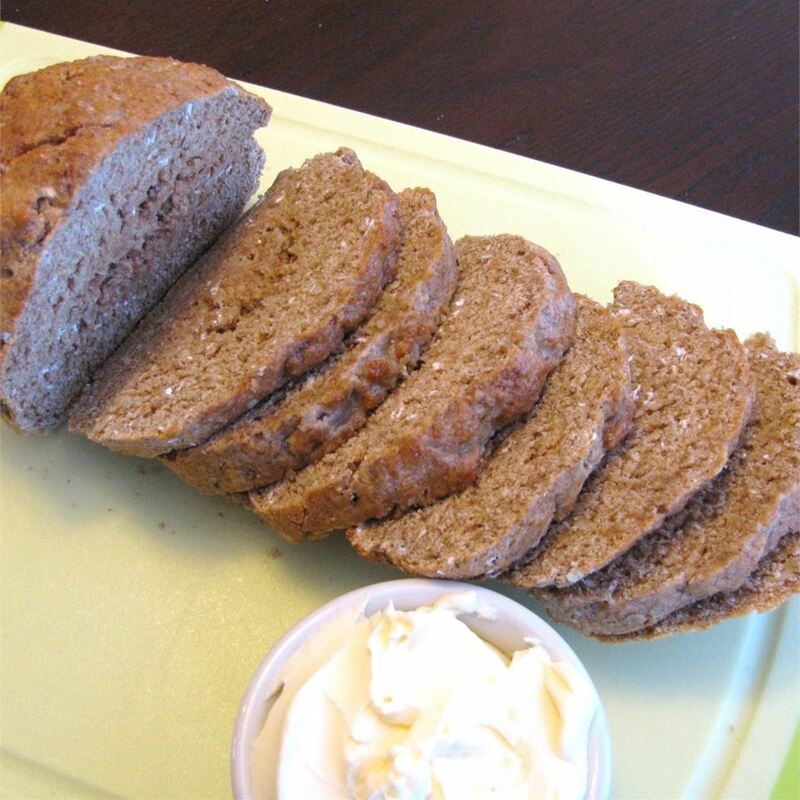 Awesome bread and great for toasting.